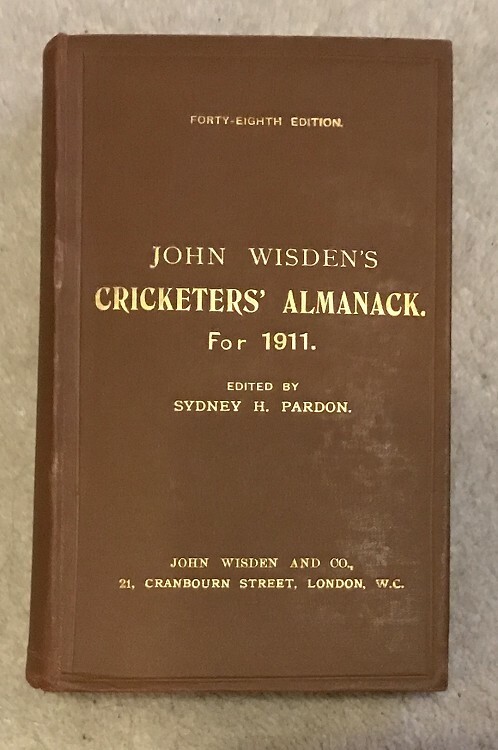 This lot is a 1911 Original Hardback Wisden in Very Good Condition. The boards are very nice, ad the gilt is bright to front and spine, there has been no restoration to the book or the lettering. A tny mark to the base of the spine by the lettering as shown and if being picky the letters are at a bot of a slant. The hinges are very strong and yellow pastedowns clean. Very nice inside. Excellent Photoplate. Rare to find in this condition. Postage: £9 - which covers special delivery fully insured & Jiffy Bag in the UK.